Today marks the 2nd anniversary of Libby’s death from ovarian cancer at the age of 26. Although the family healing process continues, we celebrate Libby’s life formally on this day to honor her memory, and remind ourselves that life is precious and should not be taken for granted. Today marks the 2nd anniversary of Libby’s death from ovarian cancer at the age of 26. Although the family healing process continues, we celebrate Libby’s life formally on this day to honor her memory, and remind ourselves that life is precious and should not be taken for granted. This day also reminds us that there is a considerable amount of work yet to be done in raising ovarian cancer awareness and finding a reliable screening test, and ultimately a cure, for this unforgiving disease. Created Libby’s H*O*P*E*™ mission statement to be carried out by a future nonprofit, tax-exempt organization. Generated approximately 145,000 website visitors, from 60 countries around the world. 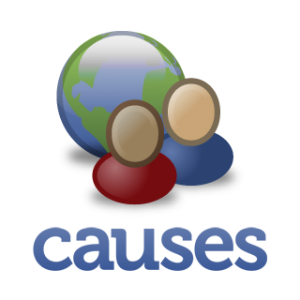 Generated 5% to 10% of daily website visitors from major U.S. and international cancer centers and elite academic institutions actively engaged in cancer research. Established social media networks through Facebook, Twitter, Vodpod, YouTube, Friendfeed, and SocialVibe, which are used to disseminate important ovarian cancer awareness information, as well as stories of hope. Established a website library containing over 500 videos relating to ovarian cancer and cancer-related topics. Responded to approximately 700 ovarian cancer survivor (and family) general informational inquiries, which were answered within 96 hours of website posting or email receipt. Created Vox Populi website article features which provide the general public with a better understanding of how ovarian cancer impacts the daily life of a woman diagnosed with the disease and her family. These stories have been well-received by our readers as a source of inspiration and hope. Presented at the 2010 National Ovarian Cancer Coalition (NOCC) 6th Annual Women’s Health Expo, held on March 20th in the greater Washington, D.C. area. The presentation was entitled, A Patient Advocate’s Perspective on the Importance of Ovarian Cancer Awareness and Helpful Online Resources. Highlighted in the Eyes on Advocacy section of the 2010 University of Washington Tumor Vaccine Group (UWTVG) quarterly (Winter) newsletter entitled, TVG Focus. The UWTVG is headed by Mary L. (Nora) Disis, M.D., a Professor of Medicine and Adjunct Professor of Pathology and Obstetrics & Gynecology at the University of Washington, and a Member of the Fred Hutchinson Cancer Research Center. Dr. Disis is a world-renowned cancer immunologist. Established a new working relationship with Women’s Oncology Research & Dialogue (WORD), a non-profit, tax-exempt organization dedicated to raising gynecological cancer awareness. To promote this new relationship, WORD recently shot a video of Paul Cacciatore, the Libby’s H*O*P*E* founder. In the video, Paul addresses the genesis of the website, the Libby’s H*O*P*E* mission statement, and why it is important for all women to educate themselves about the early warning signs of ovarian cancer. WORD will be launching a new website before the end of 2010, and it is anticipated that this video will appear on both the WORD and Libby’s H*O*P*E* websites at that time. Established a new relationship with elite cancer researchers working on behalf of the British Columbia Cancer Agency. Based upon instructions from Her Majesty Queen Elizabeth II (“Her Majesty”), a poem entitled, She Is Gone, was recited at the Queen Mother’s funeral, which was held in Westminster Abbey on April 9, 2002. The poem recitation sparked a glut of media interest because of its simple, upbeat nature – and mystery author, who was credited in the service program as “Anon” [i.e., Anonymous]. Apparently, Her Majesty found the poem while leafing through old memorial service books and she chose it to be read at her mother’s funeral, where it struck a chord with millions of mourners. After the conclusion of the Queen Mother’s funeral, the BBC, The Times, and other U.K. media outlets took great effort to identify the author, with attributions going to, among others, Immanuel Kant and Joyce Grenfell. Eventually, it was discovered that the true author was Mr. David Harkins, who wrote the poem in 1981 while working at a bakery. Mr. Harkins, who now works as an artist selling paintings over the Internet, said he “couldn’t believe his eyes” when he saw his poetry published in several newspapers after the funeral. I chose to include Remember Me as part of our tribute to Libby for two reasons. First, the poem is instructive as to how Libby would want all of us to continue on with our lives, energized by our loving memories of her. Second, Libby would no doubt find great joy and humor in the fact that a talented baker from a small U.K. town became famous worldwide for his literary prowess rather than his pastries. The full text of Remember Me is provided below. Did You Ever Hear An Angel Sing? The inspirational story of Rhema Marvanne provides further proof that it is possible to “smile, open your eyes, love and go on,” after the death of a family member from ovarian cancer. It is difficult to believe that the life lesson highlighted by this touching story is provided to us through the example of a 7-year old child, albeit it a very talented one. Rhema Marvanne was born on September 15, 2002. Rhema lives with her father Teton Voraritskul, and a family pet dog named, “Mojo.” According to her father, Rhema began singing at the same time she began talking. Rhema’s mother, Wendi Marvanne Voraritskul, loved Rhema with all of her heart. Wendi was diagnosed with ovarian cancer when Rhema was just 3 years old. Succumbing to the disease three years later, Wendi Marvanne died at the age of 36 on November 8, 2008. According to Teton Voraritskul, most of Rhema’s memories with her mom were pleasant ones, but revolved around surgery, multiple chemotherapy treatments, sickness and struggle. Wendi was a strong believer in God and never complained about or questioned God during her illness. Teton explains that Wendi always encouraged those around her, even in the midst of her cancer battle. During Wendi’s final months, Rhema and Teton took care of her. Rhema spent almost every hour with her mother. When asked what her greatest accomplishment was prior to her death, Wendi simply replied, “Rhema.” A YouTube video featuring Wendi and her original songs is provided below. You can learn more about Wendi Marvanne’s life and music at www.jchouseofmercy.org. It was less than a year ago that Rhema recorded her first song, Amazing Grace, and quickly became an Internet singing sensation. She obtains great inspiration from her mother, Wendi. It is Rhema’s greatest hope to make her mother proud, both as a singer and as a “servant of God,” which is why she also performs for church congregations, non-profit organizations, charities, hospitals and special events. Appeared on the Maury Povich show episode entitled, Maury’s Most Talented Kids 2010. Appeared on International News, via Supreme Master TV – Global Satellite, which first aired on June 16, 2010 in 44 countries (in 60 different languages). Recorded in Nashville with Gary Chapman and created her 1st music video featuring the song Amazing Grace. Recorded the song entitled The Prayer with Terry White and musicians from the Nashville Symphony, and is currently working on a Christmas album. Acted in 1st featured film entitled Machine Gun Preacher, a Lionsgate production set to release in Fall 2011. The movie Machine Gun Preacher is based upon the true story of Sam Childers (portrayed by well-known actor Gerard Butler), a drug-dealing biker who finds religion and dedicates his life to helping Sudanese children escape the Lord’s Resistance Army (LRA) in Africa. Childers founded the Angels of East Africa, a children’s village located in southern Sudan, for the children he saves from the LRA. Appeared on Daystar and Trinity Broadcasting television networks. …The best way to describe Rhema is that she has a beautiful heart and soul. She is sweet, kind, caring and most importantly pure in heart. Most people who have dealt with or are currently dealing with cancer, disease, challenges, etc…..see hope and inspiration in Rhema. The little girl who should have been scared or harmed by seeing her mother suffer and gone, is strong and perfect. I see Rhema as a cancer survivor. She gives me hope for goodness in mankind. God gave her a beautiful heart and the voice of an angel. Most people that hear her sing can not deny that God does speak through a child. Her voice touches people’s hearts. Libby, we will always love you and keep your memory alive in our hearts and minds. To support Libby’s H*O*P*E*™, you can make a donation ($10 minimum) through our Facebook Cause page. All donations made to the Libby’s H*O*P*E*™ Facebook cause are designated for the benefit of the Ovarian Cancer Research Fund (OCRF). OCRF is one of the largest U.S. private, non-profit organizations dedicated to finding an early detection test, and ultimately a cure, for ovarian cancer. If you are not a Facebook member, you can still make a donation through the Libby’s H*O*P*E*™ Facebook donation page (no membership or registration required). If you are unable to donate, you can nevertheless support OCRF without any out-of-pocket cost by clicking on our “SocialVibe” widget that appears on the website homepage right sidebar, or by using our designated SocialVibe website. For each reader that clicks on the SocialVibe widget (or goes to our designated SocialVibe website), and watches the video presented and/or answers the question(s) listed, our current SocialVibe sponsor will donate money to OCRF on your behalf for ovarian cancer research. It’s fast & it’s free! We would like to extend special thanks to Teton Voraritskul for allowing us to feature Rhema’s story and music videos, as well as the video of Wendi’s life. To learn more about Rhema Marvanne and her music, go to www.RhemaMarvanne.com. Rhema’s songs are sold on iTunes®, Amazon.com, and RhemaMarvanne.com. Jemal A., Siegel R., Xu J. et. al. Cancer Statistics, 2010. CA Cancer J Clin. 2010 Jul 7. [Epub ahead of print] [PMID: 20610543]. Long-term survival from once-deadly cancers doubles, Press Release, Cancer Research U.K., July 12, 2010. Remember Me, written by David Harkins, Silloth, Cumbria, U.K., PoeticExpressions.co.uk. I wrote the Queen Mum’s funeral poem, written by Chris Musson, News & Star. In the spirit of Vox Populi, Libby’s H*O*P*E*™ searches online for original writings and visual media created by ovarian cancer survivors, survivors’ family members, cancer advocates, journalists, and health care professionals, which address one or more aspects of ovarian cancer within the context of daily life. The written and visual media features that we discover run the gamut; sometimes poignant, sometimes educational, sometimes touching, sometimes comedic, but always honest. 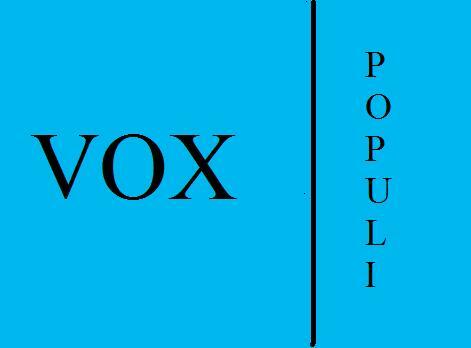 The Vox Populi feature may take the form of an essay, editorial, poem, letter, story, song or video picture montage. It is our hope that the Vox Populi feature will allow our readers to obtain, in some small way, a better understanding of how ovarian cancer impacts the life of a woman diagnosed with the disease and her family. We invite all readers to submit, or bring to our attention, original writings and visual media suitable for publication as Vox Populi features. This entry was posted in Inspirational, Vox Populi and tagged Amazing Grace, American Cancer Society, Angels of East Africa, British Columbia Cancer Agency, Cancer Research U.K., David Harkins, Daystar, Facebook, Fred Hutchinson Cancer Res. Ctr., Friendfeed, Gary Chapman, Gerard Butler, Inspirational, Lionsgate, long-term survival, Lord's Resistance Army, Machine Gun Preacher, Maury Povich Show, NOCC 6th Annual Women's Health Expo, Nora Disis M.D., ovarian cancer, Prince Charles of Wales, Queen Elizabeth II, Queen Mother, Remember Me, Rhema Marvanne, RhemaMarvanne.com, SocialVibe, Supreme Master TV, Terry White, Teton Marvanne, The Prayer, Trinity Broadcasting TV Network, TVG Focus, Twitter, Univ. of Washington Tumor Vaccine Group, Vodpod, Vox Populi, Wendi Marvanne Voraritskul, Westminster Abbey, Women's Oncology Research & Dialogue, YouTube. Bookmark the permalink.